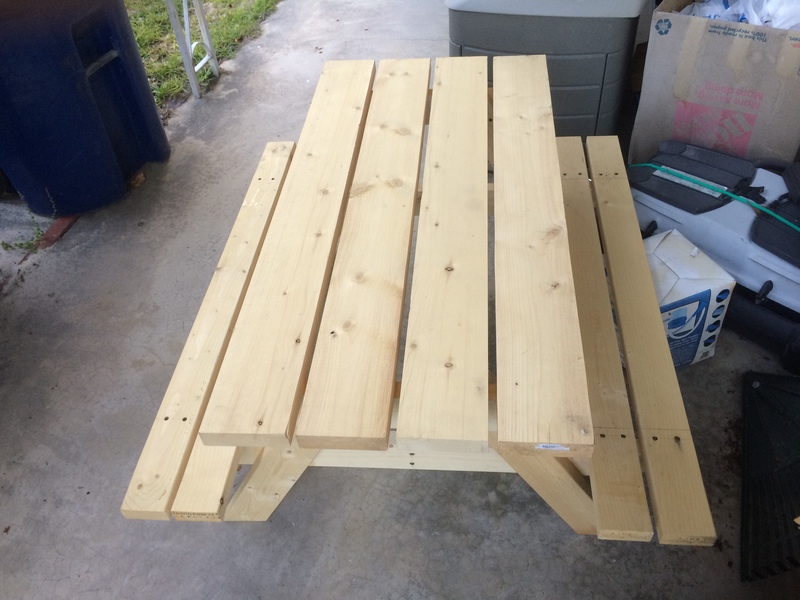 Picnic table for children from about 6 to 16. 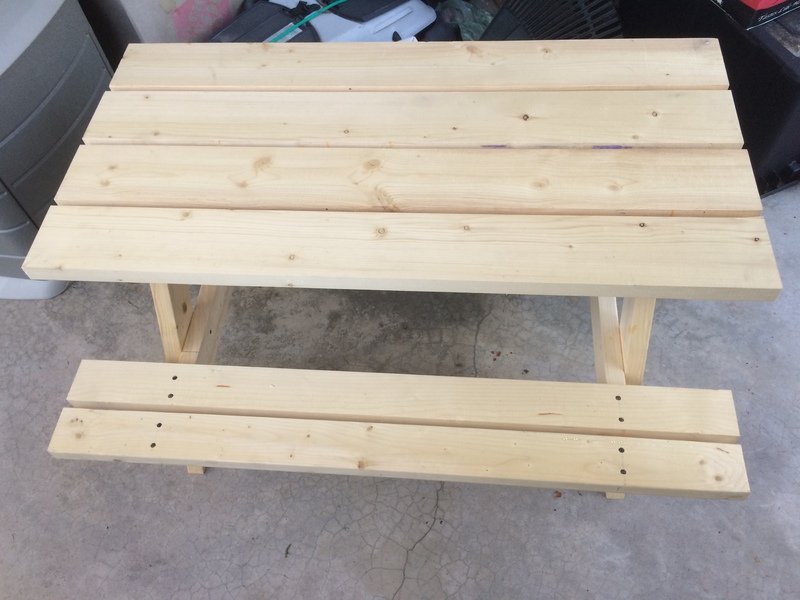 I made this table from 2x4s, 2x6s, and 1 inch lumber. 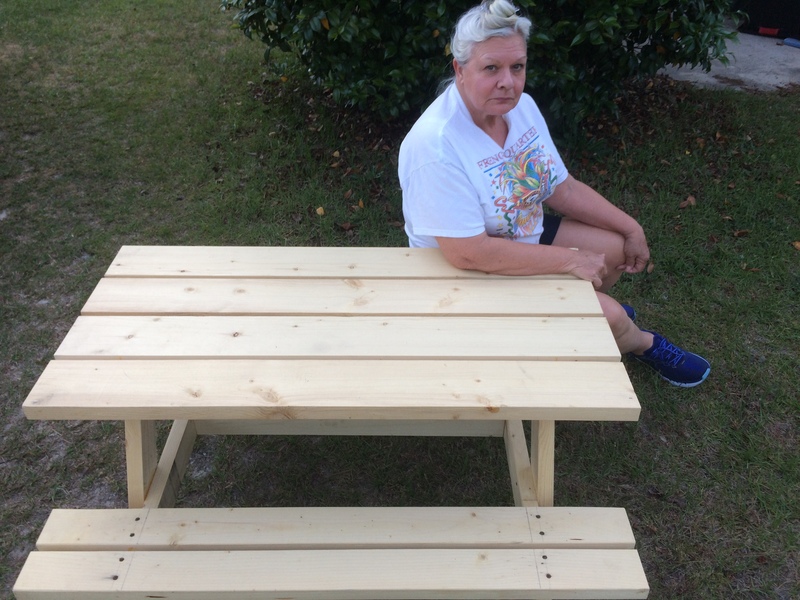 It is light enough to move around the yard or to make a dinner table for the children when you have a get-together or picnic. It is small enough to put into the back of your pickup and take it wherever you go. Everyone who has tested this table absolutely loves it. It has the quality of an Amish table, but made by a countrified redneck. It measures about 4 feet long, by 3 feet wide, and about 20 inches tall. You will notice there are no holes in the top and all holes in the seats will be filled and sanded. I can paint it any color you wish, or you can paint it yourself. It contains no nails, only screws, and most of them are hidden from view.